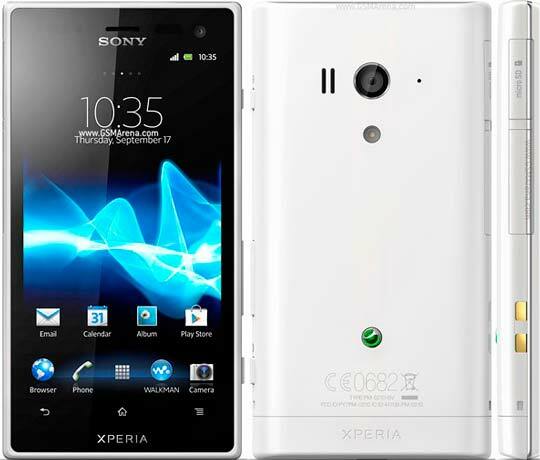 After the release of Sony Xperia go, Xperia acro S is also released in Bangladesh. It’s one of the most an stylish dust and water resistant Android smartphone produced by Sony ever. The phone has a capacitive touchscreen display that measures 4.3 inches with a resolution of 1280 x 720 at 342 ppi with Sony's Mobile BRAVIA Engine reality display. The device features a 1.5 GHz Dual-core Qualcomm Snapdragon processor with 1GB RAM, 16GB of internal memory, which also supports 32 GB external memory with NFC. The phone is released with latest Sony operating system, Android 4.0 Ice Cream Sandwich and is Facebook integrated with the Timescape UI with Twitter. Sony Xperia acro S camera has 12 megapixels with autofocus and also Exmor R for low light capturing. It is capable of recording video at 1080p with continuous autofocus, video stabilizer and the phone also features a front facing camera with 1.3 megapixels capable of recording video at 720p. The device also features a mirco USB connector with USB on the Go support and a HDMI port for viewing photos and videos on a TV screen. As a dust and water resistant device, it is equipped with a scratch resistant and shatter proof glass and with a dust and water resistant rating of IP57. This awesome gadget is now available in Bangladesh just for 29000 taka ($372) without warranty. And if you are in touch with Amazon they you can save some of your money. They are selling unlocked Xperia acro S for $525 .